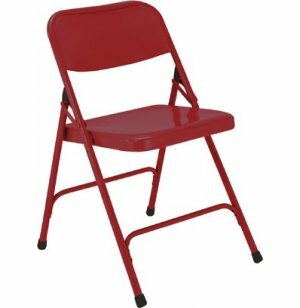 This distinctive metal folding chair is designed to be affordable yet stand up to heavy use over many years. The all-steel frame is made from 18-gauge steel that has been powder coated a bright red. A full back gives those who are sitting in the chair sturdy support to prevent back fatigue. While most folding chairs are rated at a 250-pound seating capacity, this chair is rated at 480 pounds. The fire engine red color will make these chairs easily recognizable and the replaceable leg glides prevent damage to your floor. 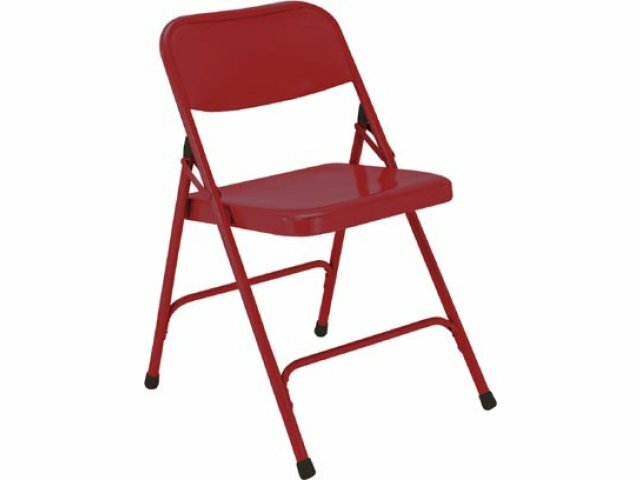 If your school, church, or other institution is in need of additional seating, these folding chairs are an economical option. Portable: Weighing only 11lbs, this folding chair is easy to transport. 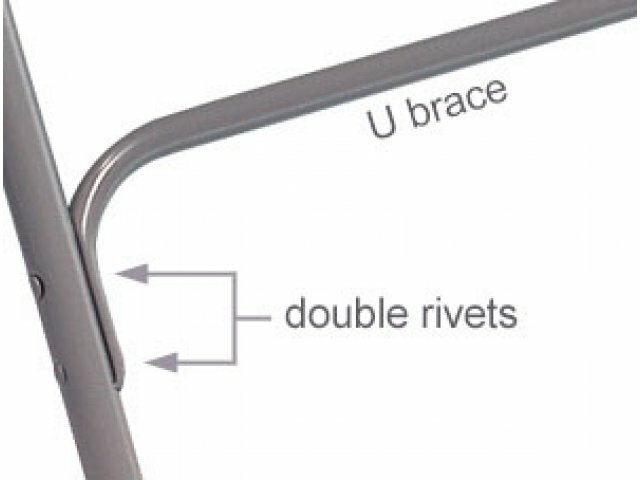 Stable: U shaped cross braces are double riveted to the frame for extra stability.